If you need a dentist in Fresno, Mirelez Wellness Dental is a Fresno dentist that offers a wide variety of services to the people of Fresno and beyond. We take pride in being a dentist (Fresno area) that stays current with modern dental technology and that provide top quality dental treatments in a comforting and relaxing environment. Holistic Dentistry | We believe in providing holistic dentistry to our patients because it focuses on the overall health of our patients, not just on oral health. Oral health and overall health are tied together, so we work hard to help our patients understand this connection and be healthier overall. Sedation Dentistry | Going to the dentist for some patients can be nerve-wracking, and many people avoid going to the dentist because of anxiety. As a dentist in Fresno we offer sedation dentistry as a means of easing the anxiety of our more nervous patients so that they can receive dental care that will improve the standard of their oral health and health overall. 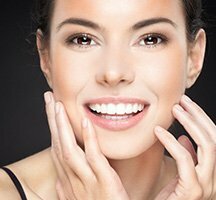 Cosmetic Dentistry | If you have ever wanted to remove cosmetic issues from your smile, look no further than Mirelez Wellness Dental. We offer a full range of cosmetic dentistry services from the convenience of our Fresno dentist office. Some of our cosmetic dentistry services include ClearCorrect, teeth whitening, porcelain veneers and even more. Dental Implants | Dental implants allow us to permanently replace missing teeth. A dental implant is a synthetic post that is placed in the jawbone, that can act as an anchor for a dental apparatus, or dental crown. 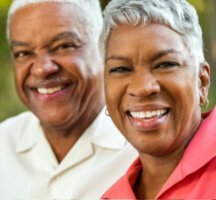 Our team and dentist/Fresno location are skilled in placing dental implants, and can help you permanently replace missing teeth. We are proud to be a dentist in Fresno, and to be able to offer top quality services to our patients. Have any questions for us about the kinds of services we can provide, or would you like to make an appointment with us? Contact us today!